Do you have ever heard of KONJAC? 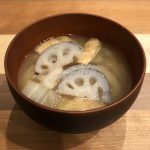 KONJAC is also known as Konnyaku or Devil’s tongue. 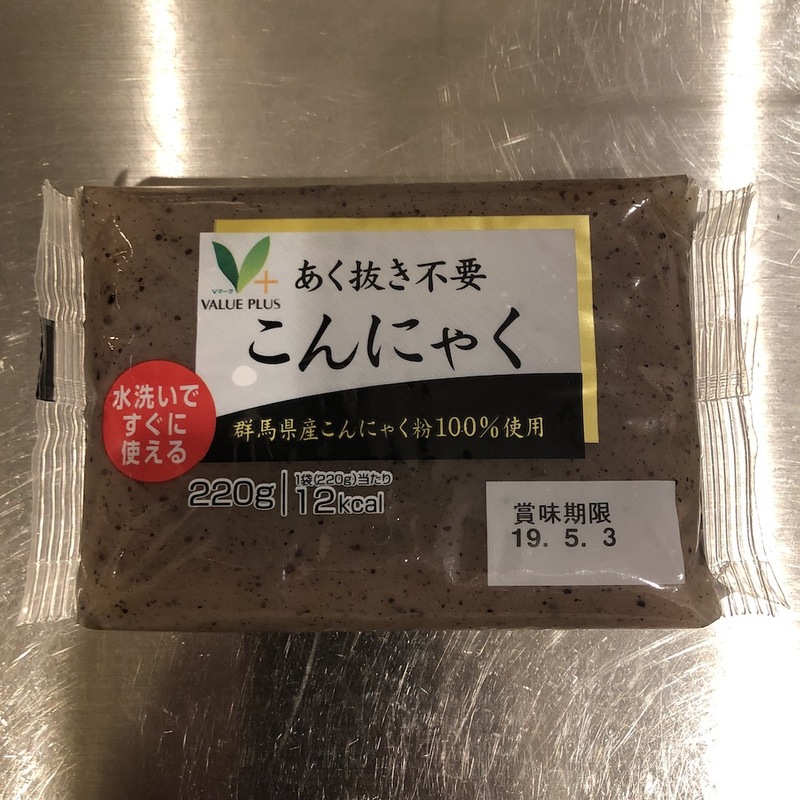 It can be said “yam cake” too, and the raw material is Konnyaku imo (Taro). 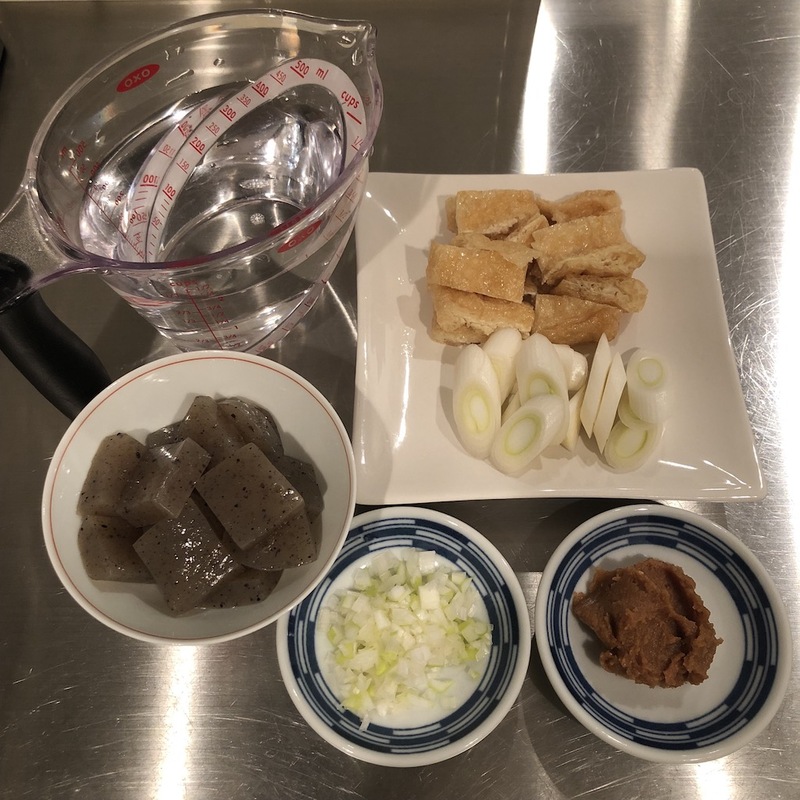 Grated Konnyaku imo will be set as cakes by cooking with sodium carbonate. It has kind of a jelly-like texture and unique smell. Unbelievably 97% is water, so the calorie is super low! Because it’s so healthy I heard KONJAC noodles are getting popular in some of foreign countries. 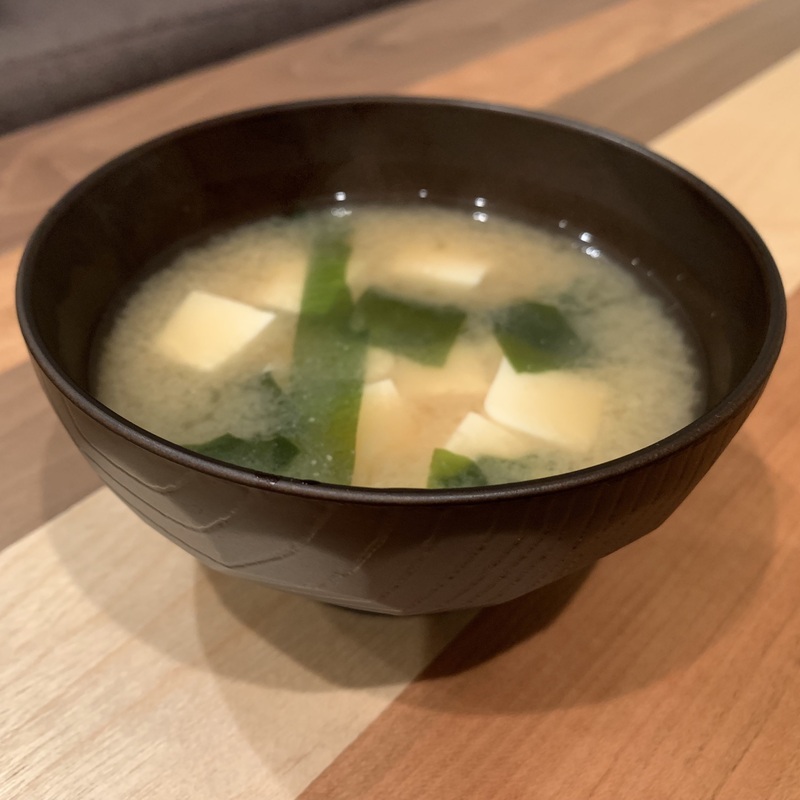 My parents are Konnyaku imo (Taro) – raising farmer, so I feel so happy when I use it for cooking! 2. 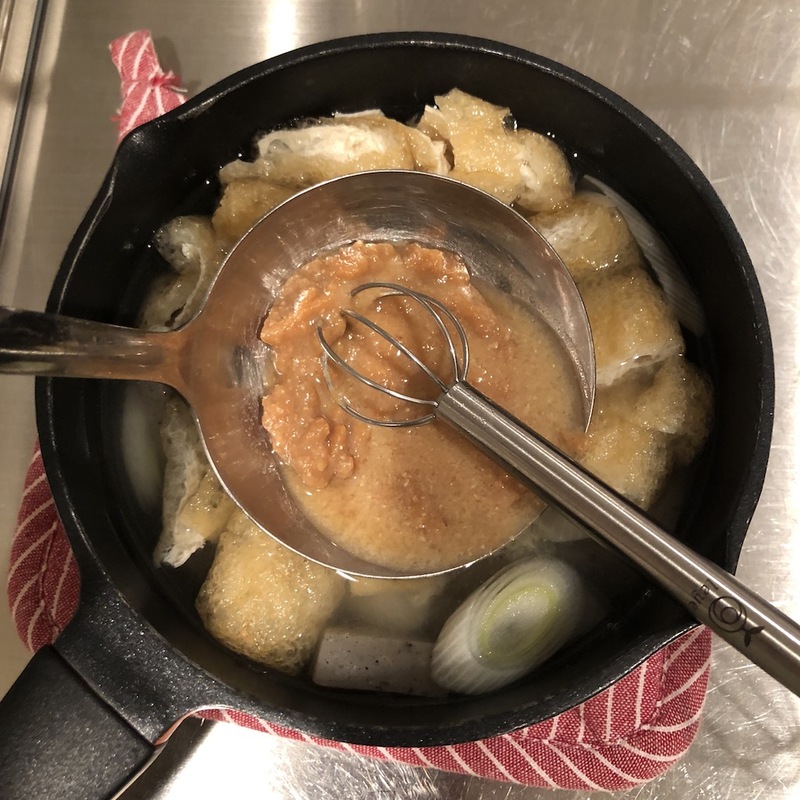 Once it boils, add konjac and thin fried tofu. 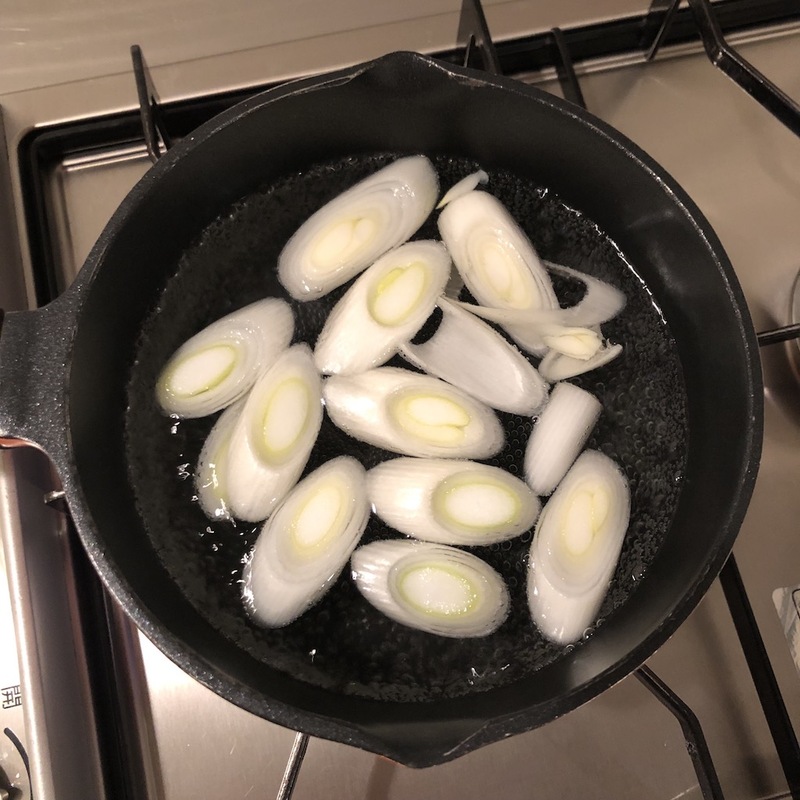 Simmer for about 2 minutes to cook them. (Add dashi granules if you need). Then remove from heat. 3. Add miso paste and stir until miso is completely melted. Put minced green onion and red pepper to your liking. 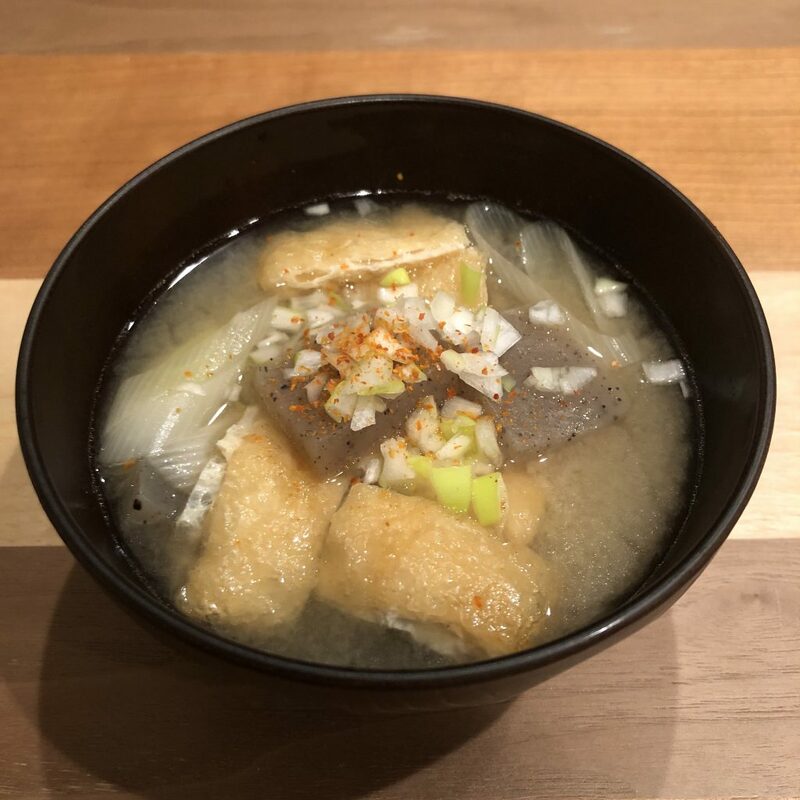 KONJAC is usually side character in a soup (you can tell that from the recipe of “IMONI”). 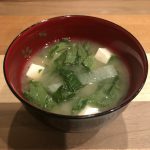 It’s absolutely healthy and delicious, so KONJAC miso soup should be widely known! 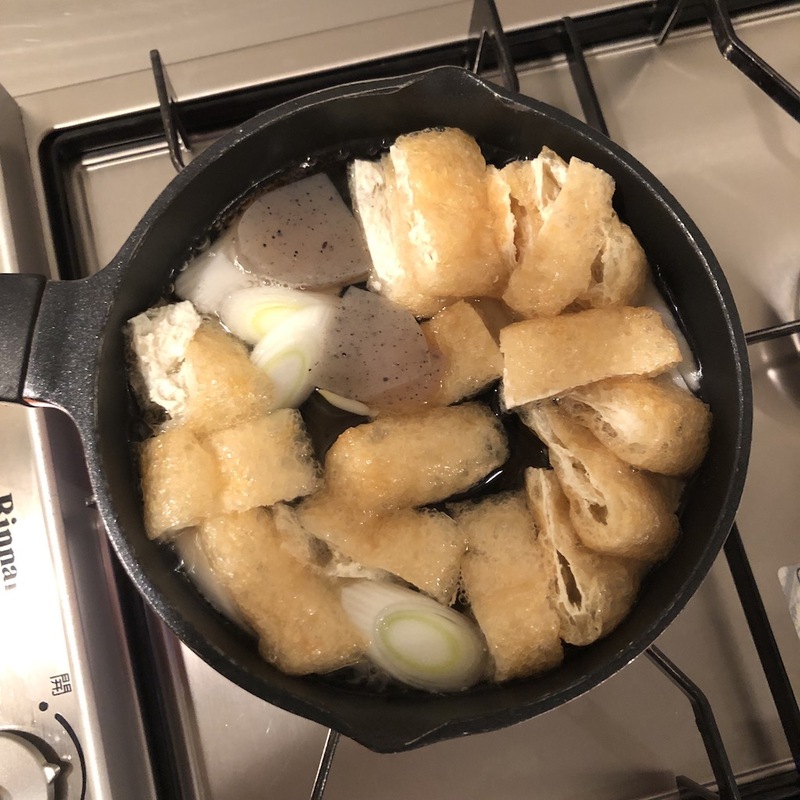 Since KONJAC’s taste is very simple, I think juicy thin fried tofu is important supporter.